In life, there is so much energy coming at us daily that we can find ourselves wrapped up in the mire of living without even realizing how all of this affects us on a core level. Overtime, being confronted with so much external static can cause anxiety and stress as well as all kinds of spiritual and physical disturbances. In life, there is so much energy coming at us daily that we can find ourselves wrapped up in the mire of living without even realizing how all of this affects us on a core level. Overtime, being confronted with so much external static can cause anxiety and stress as well as all kinds of spiritual and physical disturbances. Life’s details are interconnected and interdependent in all areas. Because of this relationship, if one area of your life is out of balance then another one is sure to be as well. Like nature and our internal system, one supports the other for survival. So when all parts support the sum total, when all competing influences are balanced, you will have equilibrium. For my clients, I teach 7 keys for equilibrium and harmony that produce results. 1. Clear your living space from anything that doesn’t make you feel balanced. Your home should reflect good feelings that empower you. Anything holding feelings of the past that are unpleasant and displeasing should be disposed of or given to someone who would value it. Everything holds energy patterns that affect your emotions and having a living space that is at a high vibration can clear your mind and empower you with creative motivation. 2. Music has a huge influence over thoughts and feelings. This means that playing songs that make you feel lack, loss, and hurt is not a very good idea. Your emotions are primarily responsible for the laws of attraction in your life. When your emotions are being fed the wrong information, an imbalance in your physical life is created. Choosing what you hear makes all the difference to create a harmonious life. Allow your mind to be encouraged and empowered by listening to music that lifts you up and inspires you towards greatness and love. 3. Taking time in nature clears your energy and mind. By being outside, you can tap into a well-spring of information that can support you on your journey. Not only does being in nature influence your empathic abilities, it also opens up you up for unseen energies that you don’t see in your waking life. It’s a great pick me up, and when your body feels tired, nature can have a chemical effect on it and clear depression. You can transmute almost any thought or emotion from your entire being. Additionally, nature is a conduit for grounding and staying centered since the green in nature is very healing on many levels. So, get out there and feel revived! 4. Prayer, mediation, and chanting are important to charge energy and remove energy blocks that exist. Also, it balances your mind and emotions so you can reach higher levels of thought and feeling. When you meditate and pray or chant, your focused energy becomes really exact which is a key ingredient to manifestation. 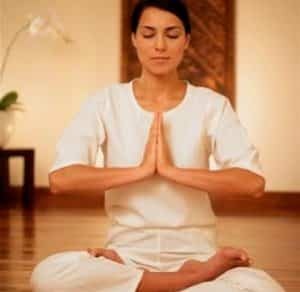 Prayer, mediation, and chanting awaken your connection to the SOURCE and can expand your frequency. Have you ever heard anyone say “wow you’re glowing today”? Well, that means your vibration is so high that people literally can see the light around you. Continue with this practice and you will be able to tap into other worlds and download a plethora of unknown information that can support you and others in life. 5. Pampering yourself is an act of love, because it confirms your inner devotion to your temple. Don’t you realize that over time with life and its many challenges, you can burn out or become drained? Just as you eat to live, you also have to nurture your body for wellness. Make a promise that you will honor your body’s need to release stress and indulge a bit. Doing fitness is also a way in which to honor your body, by clearing toxins to get stronger and leaner by supplying rich oxygen to your blood, releasing waste, and keeping your heart strong. Go to the spa, create one at home, or throw a pamper party with friends so that you can share and remind others of how important it is to feel great, energized, and relaxed. 6. A diet rich in vitamins, healthy fats, low sodium and plenty of fruits and vegetables with sources of protein in it allows the body’s natural ability to maintain balance to perform at an optimal level. Drinking juices loaded in greens and super foods detoxifies your internal body. Eating foods that scour your intestines and colon helps your digestion and keeps blood free from waste and a back-up of toxins. We are the foods that we eat. Having a healthy diet and keeping your bodies ph levels balanced will greatly lessen the risk of disease. Take time to chew your food slowly while being aware of how your body feels when you are eating. All bodies are different and require a different approach to eating, and what works for someone else may not work for you. Love your body and your body will love you. 7. Other people are impactful in our life. Walking with people who complain and live in lack will rub off on you eventually. You are the company you keep. If you take them to the water and they do not drink then you need to conserve your energy for those who will receive your gifts. The level of imbalance to yourself when you place a hefty investment in someone’s life and growth, and they waste your energy and time causes inner anger that literally drains the body of life force. Setting healthy boundaries is important to your well-being. When you keep your mind and energy in a high place and surround yourself with people who do the same, a powerful force of support and encouragement opens up for success and happiness. Set your boundaries and pay attention to how you feel around the people in your life. If you feel empowered and good, then keep it going; however, if you feel sad or lack or fear, it’s time for you to reevaluate them and look at the effects it has on you. Be true to yourself. There you have it: the 7 keys for equilibrium. All you have to do is follow the steps and watch life take you by surprise. Sometimes it’s the simple changes that lead to the outcomes you desire. Love you.